Oceanwide Expeditions have chartered the Russian icebreaker, "Kapitan Dranitsyn", for a 10-day expedition to Franz Joseph Land in July this year. 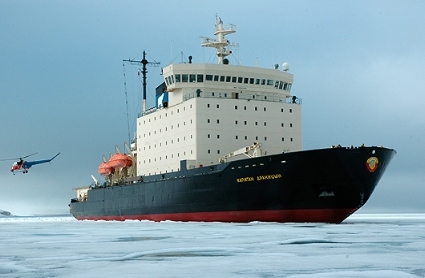 While the vessel, "Kapitan Dranitsyn", may be unfamiliar to many adventurers, it is virtually identical to her sister ship, the famous Kapitan Khlebnikov. 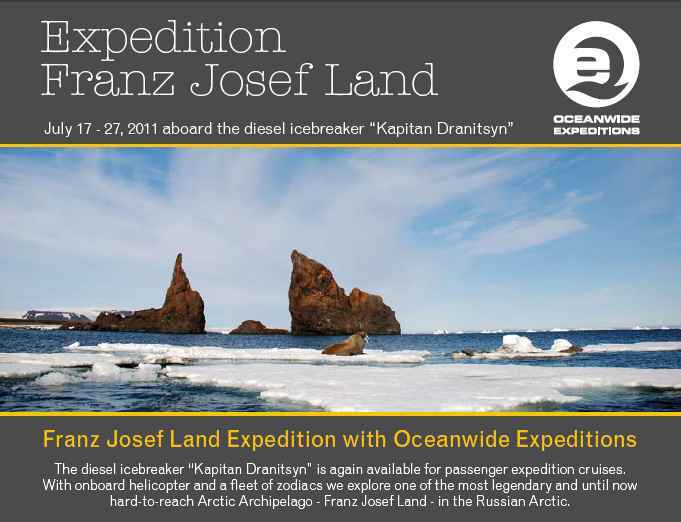 The proposed itinerary is Kirkenes (Norway) – Murmansk (Russia) – Franz Josef Land – Murmansk (Russia) – Kirkenes (Norway) - between July 17-27, 2011. For more details download this flyer (PDF 800kb).